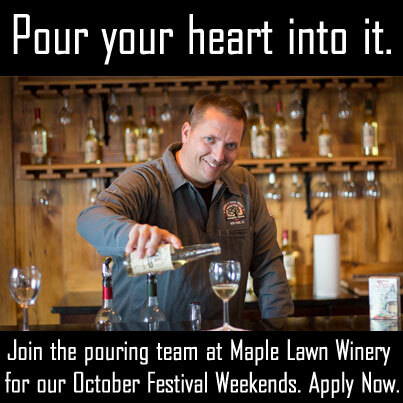 Hey Folks, it’s the Fall season and we’re auditioning new pouring staff for Fri-Sat-Sun part-time positions at our events and festivals. Interested? YES – There is a substantial employee discount. YES – It is as fun as they make it out to be in the movies. Step 1: DOWNLOAD the application and bring it to the farm office. Step 5: (If selected) You’re on! Sunflower Festival Aug 10, 11, 12 & Aug 17, 18, 19 – YES. 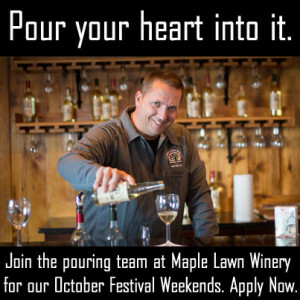 You can just work Sunflower Festival as we will need a lot of help for two weekends, but you’ll probably have fun and want to work more. CLICK Link: http://bit.ly/MLEapp PRINT from your computer, then bring to the farm market!